Joining the 100,000 Mile Club. Achievement unlocked. 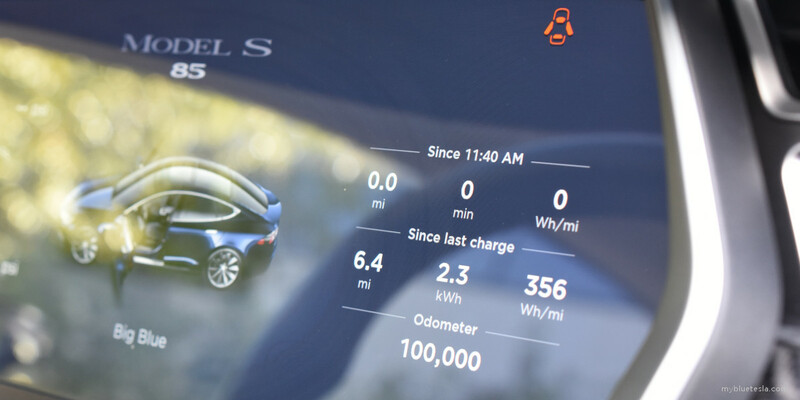 At 11:37am PDT in a parking lot next to a Lucid Motors office in the North Fremont area (37°33'28.5"N 122°03'49.9"W), I finally went from 99,999 miles to that coveted 100k mark (although technically the odometer number was displaying a rolled up 99,999.7 when I parked). This averages out to about 23k miles per year since I took delivery back in 2014, almost double the typical average. I've been driving much less than usual over the last few months but I knew I was approaching that psychological "high mileage" number. 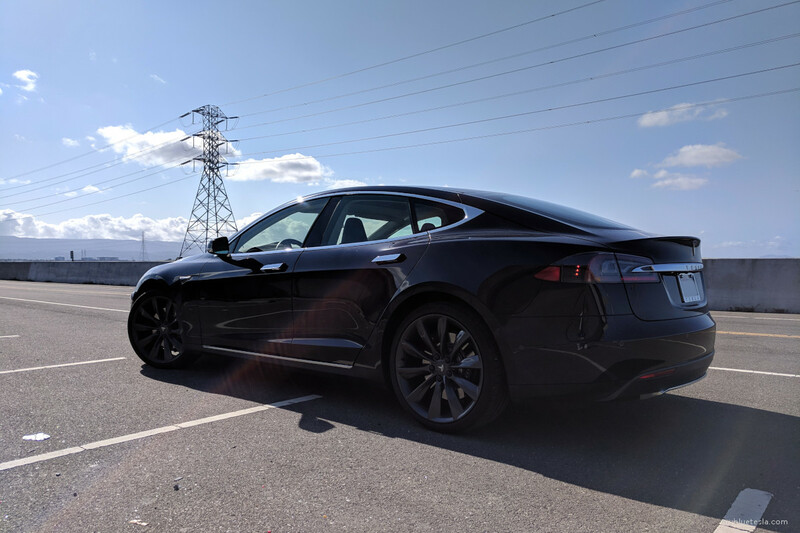 The car has been fairly reliable so far and I believe I became a Tesla owner at a good time before the Model X was released and the idea of realizing the Model 3 was still somewhat a pipe dream. 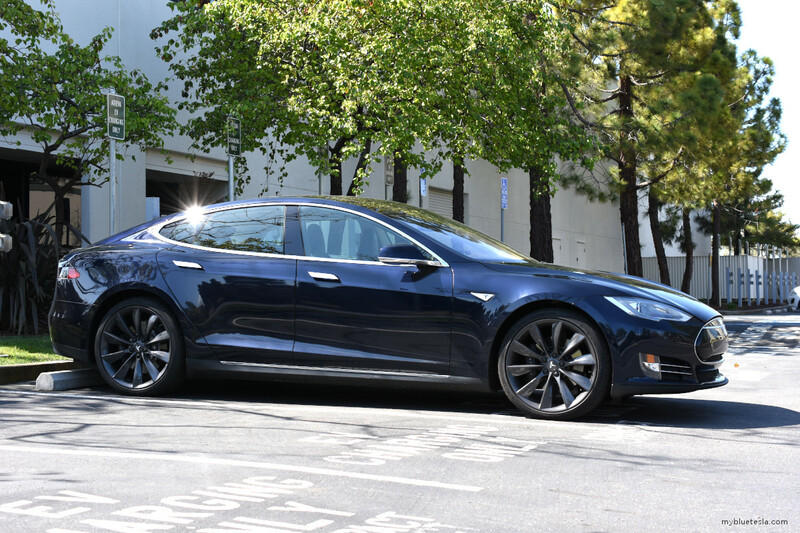 Tesla as a company seemed more personal to its customers back then and less rushed. 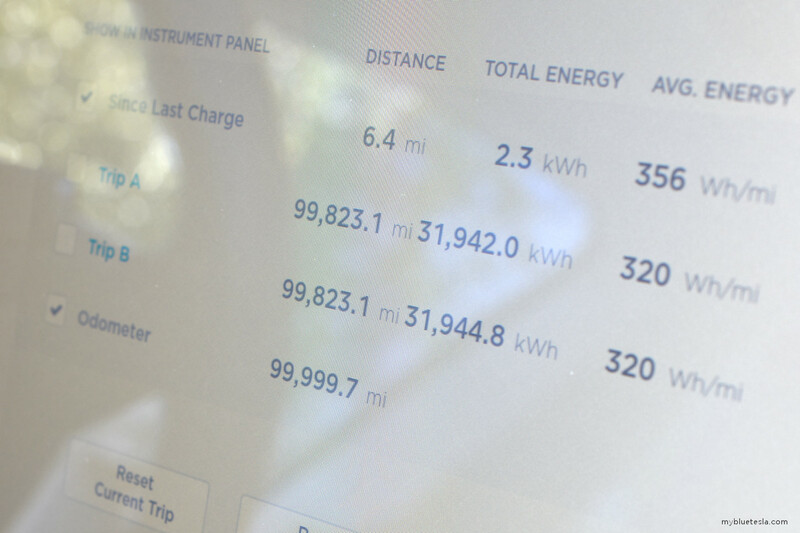 I've consumed almost 32,000 kWh of energy with an average driving efficiency of 320 Wh/mile. I'm sure riding on these larger Turbine wheels hasn't benefited the average. It was somewhat poetic that I ended up parking in a spot set aside for EV charging right next to the building of a yet another new electric car company. This building is apparently the prototype shop of Lucid Motors and I've actually seen a camoflauged Lucid Air rolling around here a couple of times. 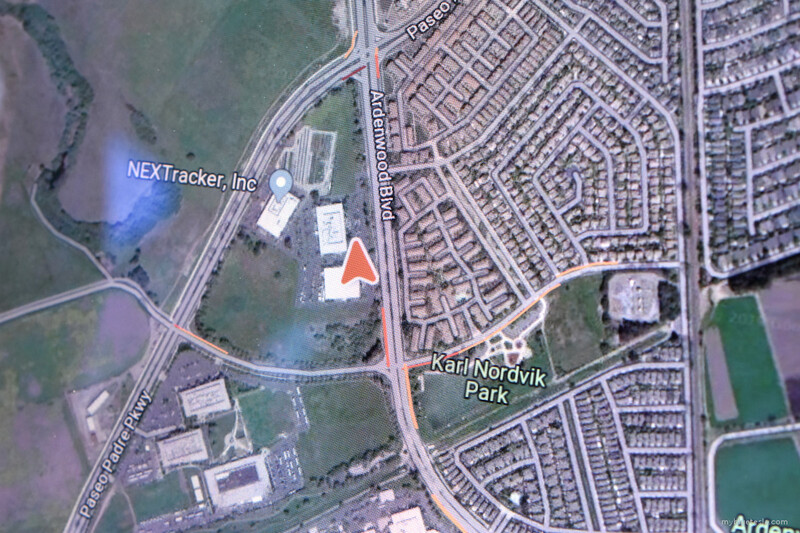 In the same tech park in the adjacent building is also NEXTracker/Solaria where a bunch of solar panels are lined in formation across from the Coyote Hills Regional Park. It's a Saturday so no one was there except me. I didn't try charging at these stalls. Big Blue needs a wash. It's been raining on and off in the last couple of weeks. 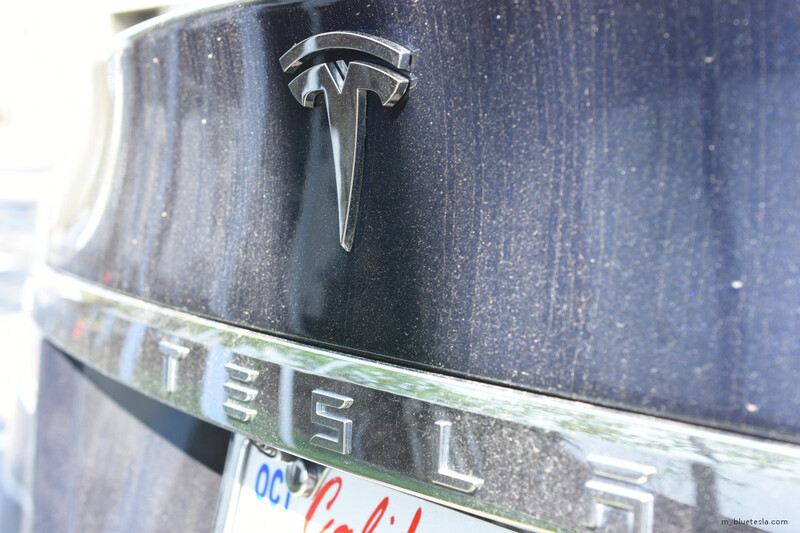 5 years ago, there were still relatively few Teslas on the road even in the SF Bay Area. 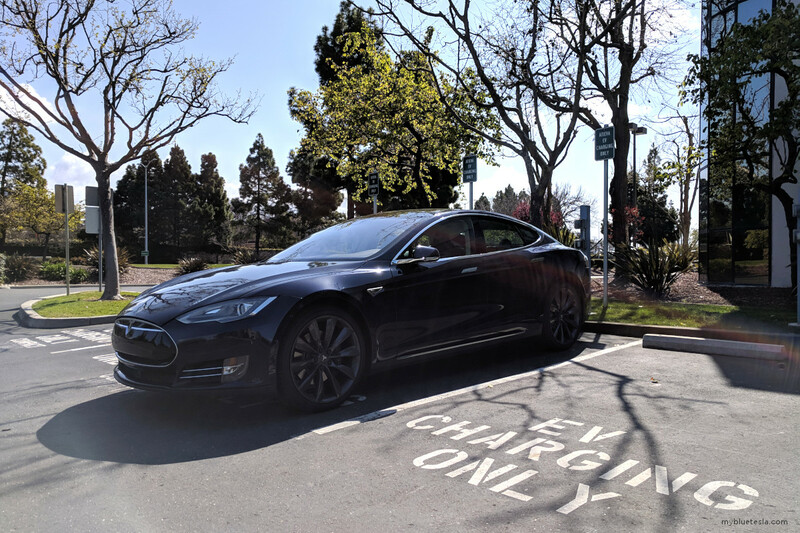 Now in Fremont alone it's hard to drive a mile without seeing a Model S or Model 3 pass by. They're everywhere. Model X are fewer, but still relatively numerous. Cars in the original Blue Metallic (the darker one) are quite rare now as I almost never see them. They used to be pretty common, especially with the tan interior. I wonder where they all went. On a side note, I recently Supercharged close to 100% just to see what the max would end up being after all these years. I lost patience at the last 1% due to the tapered trickle charging speeds, but I forgot to reset the charging level when I got home. Last night I ended up charging all the way and when I woke up, it had probably been max-charged and sitting there for a couple of hours. Up until today, I had never done a complete 100% charge due to the concern of impacting long-term battery life. That said, at roughly 99% I still apparently get about 248 miles of rated range, so that's about a 6% capacity degradation after 100k miles. Not too bad.